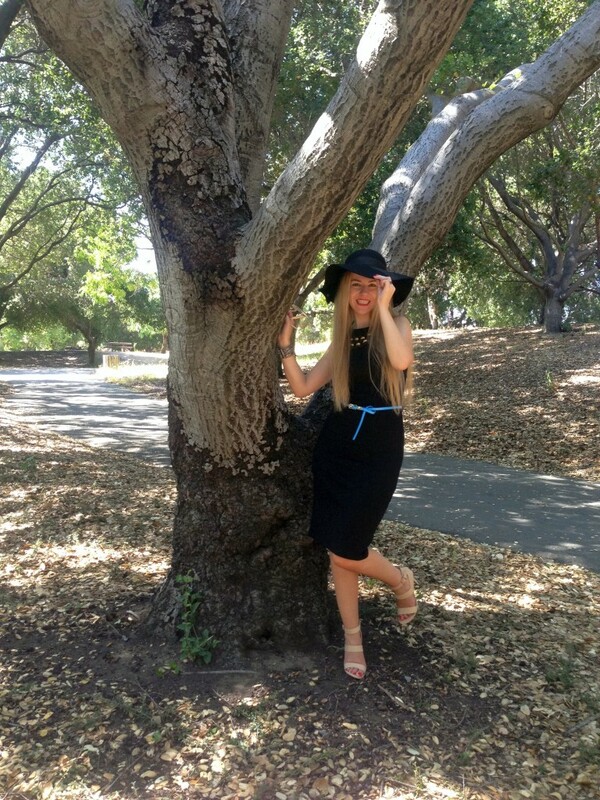 The knee length dress is a versatile piece of clothing. Thanks to its ability to suit any body shape this length gained a lot of popularity. The perfect knee length dress will let you play with different styles, starting with a day casual look to a sport one if you pair it with some converses and if you choose some classy accessories you will get a sophisticated look. Even if the dress having the hemline hitting around the knees is known as a conservative dress the color black or bold and some abstract patterns will achieve a chic vibe. The ingenue romantic look is easy to get with a lace pastel dress and with the same dress worn with hi-heels and red lipstick you’ll get a head-turning look. If you are the ball gown dress type of girl use a biker Jacket over to have a vibrant modern outfit. I’ve bought this dress after a shopping session with Simona during my visit in Romania. I like shopping with her, every time I end up buying a dress (or two or three) that will go perfect with multiple clothes that I already have in my wardrobe. I opted for a simple black dress from a casual comfortable fabric that will be extremely easy to turn from casual to classy, from day to evening and so on. 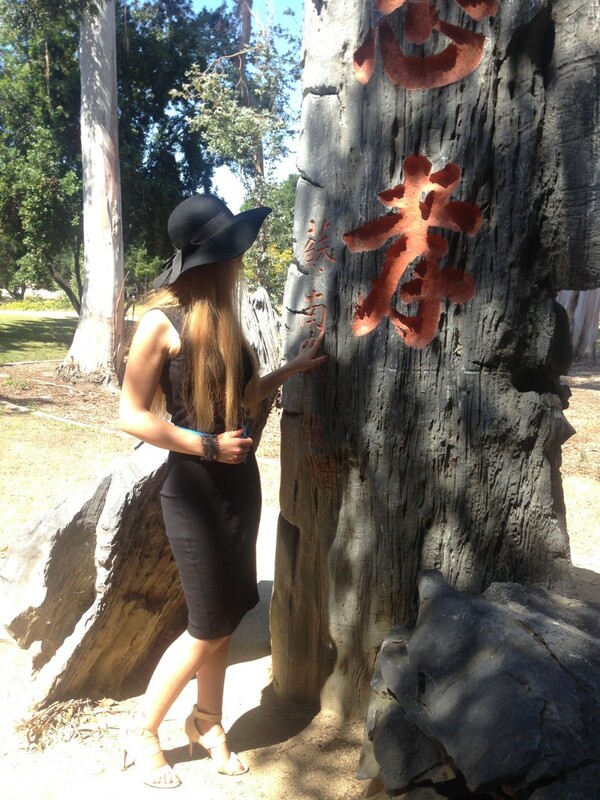 I’ve worn the dress for a visit to the Chinese Cultural Garden. 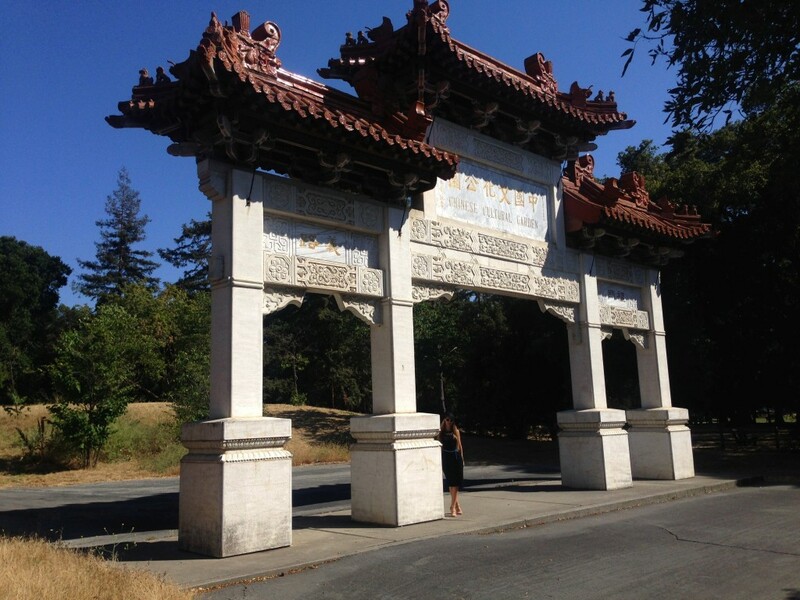 This place is “a delightful setting of traditional Chinese culture, philosophy and architecture” (source). Beside the size of this place another impressive thing is its quietness and peacefulness therefore me and my book found the perfect place. Imi place pata de culoare adusa de curelusa si faptul ca ai marcat cu ea talia atat de fina! Sandalele sunt fenomenale! Rochia… dressed to kill!